As we continue to celebrate Women’s History Month, American Express Global Business Travel (GBT) is highlighting some of its female executives. Today we highlight Chief Finance Officer, Martine Gerow. Martine is responsible for the overall financial management of the company. She has also held CFO positions at CWT, French media services company Solocal Groupe and Spanish multinational food company, Campofrio. 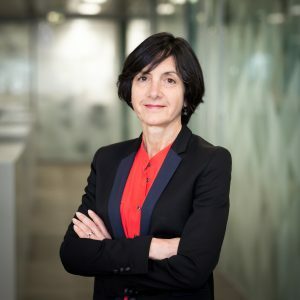 Earlier in her career, Martine was a strategy consultant for Boston Consulting Group, Inc. before moving to PepsiCo, Inc. and then Danone S.A., where she held Division CFO and Group Controller roles. It’s a day to recognise and celebrate women all over the planet and to encourage them to dream with audacity. I chose finance as a profession, where most of the top jobs are held by men, and it took me a while to be able to articulate my personal ambition of “I want to be the company CFO”. This was a key step to then build the path to get there, which wasn’t a straight line! Firstly, decisiveness is very important, in support of delivering results consistently. Secondly, you need to be able to engage teams—both your own team and, wider, your stakeholders, at all levels of the business. Finally, I’d say a healthy dose of paranoia and adaptability goes a long way!